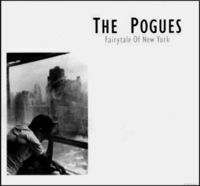 I've heard tell of an Irish pub in Montreal that, come Christmastime, plays Fairytale of New York on a continuous loop 24/7. I can get behind that. I've listened to it about 17 times already today and I'm just getting started. Ben was asking for my favourite Christmas songs, and I have to confess that I actually really enjoy Christmas songs, with the exception of those bastardized ones that come about when misguided, but presumably well-meaning, singers attempt to inject some hip into old standards. And then there are those that sounded bastardized from their very inception. I'm glaring right at you, Jingle Bell Rock! Don't ever play that around me if you don't want a fruitcake shoved up your bum. I do love Handel's Messiah, but I've already posted a few selections from that. Beware - I may subject you to a few more in the next couple of weeks. And I do have a soft spot for Eartha Kitt's Santa Baby. I have fond memories of my niece, Kristen, belting it out at the top of her lungs as a wee one. But I really need to hear Fairytale of New York again, so here's the video. To heck with the beta blogger! I swear I comment on people's sites, they post, I come back later, and they are gone. Either that or it's a conspiracy perpetuated by the blogs I read. On a completely unrelated note, but in the spirit of Christmas, I'm thankful for free wireless in train stop over connections. As I've read every piece of literature with me, and my ipod died. Thank heavens I have you all to keep me entertained. I really enjoyed that video, thanks for posting it. It is the kind of Christmas song that i like, I can't stand the cheesy ones that you hear over and over again in the shopping centres. But this one is really good. hehe Jingle Bell Rock is just something we will agree to never speak of again, Mel. It IS sad to see Kirsty in the video, but I love the song and the video both. That Shane McGowan, man, what can you say about him? I wasn't supposed to tell you, JACC, because you seem like a nice guy, but all the bloggers are ganging up against you to run you out of town. They want your bandwidth. 2000 Miles is a great song, Allison. Isn't Chrissie amazing? I am always gobsmacked by her. And Santa Baby has the right measure of materialism that we all feel but don't usually admit. But Alvin and the Chipmunks? Your family has some masochistic tendencies I think LOLZ! Glad to hear they have wireless on the stopovers! Travel is getting so cilivized. Hope your trip was decent, what with the lack of ipod and books and all. You definitely don't hear this one played in the malls, Evelyne! I like some of the old standard songs and some carols, but a lot of Chistmas music is so horrible! He kills me. I heart him. Oh it's shrrrrimpy, alright, Mel! Shane McGowan actually looks better without his teeth than he did with them. I still love him though. I am going to go look for "All I Want For Christmas Is You" right now. Everybody has been pointing me to new (to me) Christmas songs these last few days. It's great. Thanks a bunch Mel! Going to go check it out! One of my favourites too Barbara although I can handle Jingle Bell Rock once or twice a season. I'll be careful though and tread lightly. Don't want no heavy fruitcake anywhere near me. And I've got two massive bricks of brandy fruitcake in the fridge, Dale. That brandy'd sting too. Oh, I enjoyed that video. I'm not much for videos but that one captured New York for me with all its bittersweet sentiments. I love New York but it was also where I came to realize that something I had wanted my entire life and assumed I would have was not going to be. "You promised me Broadway," aww. RIP Kirsty indeed. Such a great voice. And lovely person too as far as I can tell. 2000 miles is great. Me and my sis always sing 'Another Rock and Roll Christmas' and/or 'Step Into Christmas' at the top of our lungs from late September onwards. And Christmas can also be a very bittersweet time as well, Toccata. I'm glad you enjoyed the video and that it brought back memories for you. Late September on! Kees, you and your sister are so subversive. Some Christmas songs really must be sung year-round though, Fairytale of New York, being on one of them. I remember Eva telling me that she and her friend did a duet of it at their grad dance last spring. Matt Dillon always says that appearing in the video to "The Fairytale Of New York" was the greatest acting moment of his life. If I picked just one it would be "2000 Miles". Chrissie was so lovestruck and missing her beau Jim Kerr from Simple Minds and the words have such longing. One of my favorites, as well! Love the Pogues in general. She did some work with Billy Bragg, too, I think. Kristy's uncle Ewan MacColl is married to Pete Seeger's half-sister Peggy, and wrote "The First Time Ever I Saw Your Face" for her. Roberta Flack had a huge hit with it in the early seventies. I like her version, but Ewan's is worth tracking down too. I had heard that about Matt Dillon as well, Ben. I think there really must have been a special environment during the making of that video. I think the participants knew they had something unique happening. 2000 Miles is a lovely song, and I am always so amazed by Chrissie Hynde. Thanks Jetson! You da bomb, big guy! 17, I thought I was crazy for listening to Fairytale of New York 5 times in a row. Santa Baby brings up such vivid visions - can't you just see a moll singing it in some film noir. I've only heard one song from the Sufjan Stevens Christms cd, Hilary, but I can't for the life of it remember what it was. I've collected a bit of Calgary Christmas cds over the years - the Dino Martinis and Tim Tamashira among others. It's our civic duty. Oh yes, you've nailed it, Leazwell. That's exactly what it puts me in mind of. My parents have the Dino Martini's, I suppose it is their civic duty.. Your parents are good citizens, Hilary. It is amazing isn't it, Kelly? Glad you enjoyed it. I am indeed a font of useless information. A veritable font you are, Johnny Yen, but you never know when you will need to put that info to good use.